This interdisciplinary minor adds a competitive edge to graduate students in fields such as Computer Science, English, Foreign Languages, Human Biology, Psychology and Sociolinguistics. Lindsey Chandler is fascinated by the workings of the brain in learning and producing language. 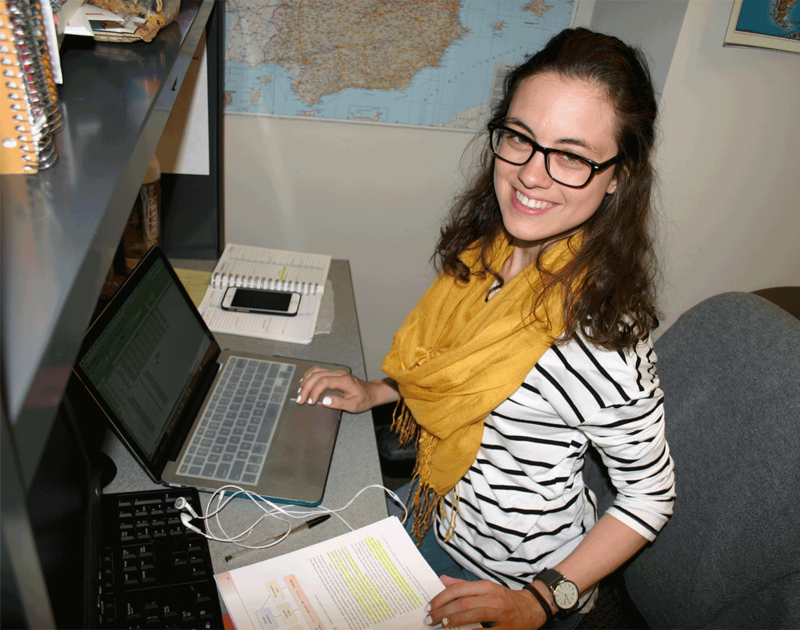 She’s studying both Hispanic linguistics and cognitive science at NC State. Any student who has previously completed the equivalent of the above core course for credit toward another degree (e.g., PHI/PSY 425 as an undergraduate) is required to complete an additional course (3 hours) from the above list. Up to three credits of equivalent graduate course work may be substituted for one course on the list above, subject to the approval of the Director for the Cognitive Science Program. Graduate students who wish to minor in Cognitive Science must declare the minor in their graduate Plan of Work, which they develop with their graduate advisory committee. This committee must include a representative of the minor, and the student must send a copy of his or her Plan of Work to the Director of the Cognitive Science Program.